These days, homeowners have a wide range of kitchen renovation options to provide the right appearance for the right price. If you are ready to get to work in this dynamic room in your Georgia home, quality services such as cabinet refacing may prove to be well worth the investment. It may prove challenging to sort through and choose the best materials to fit your place. Homeowners everywhere can benefit from reaching out to a trusted home remodeling company for assistance. 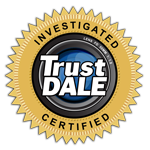 Detail Design & Remodeling is here to provide top-quality results with all of our cabinet refacing services for clients in Dunwoody, Atlanta, and beyond. Our home remodeling contractors have the skills and expertise to create amazing outcomes for your property, but we specialize in cabinet refacing featuring real wood veneers. 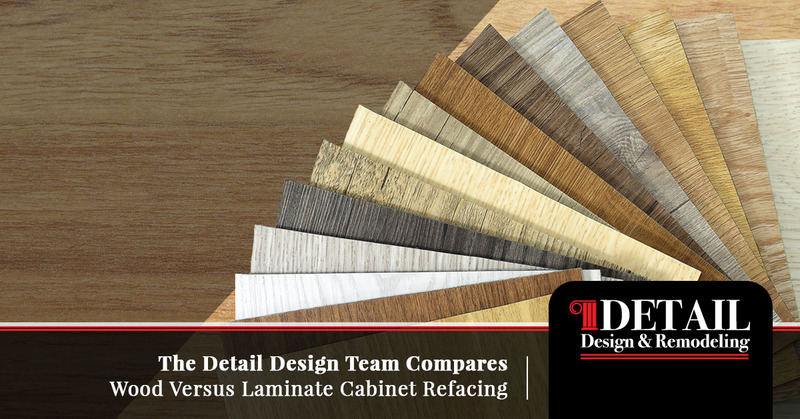 One question we often field concerns laminate as a cabinet refacing option. Detail Design & Remodeling is dedicated to providing only the best materials for every project, and we work exclusively with wood products over laminate or thermofoil. Today, we’ll discuss the differences between laminate and real wood for use in kitchen cabinet refacing. If you’re ready to schedule your consultation, be sure to contact us today! Rigid Thermofoil (RTF) – This material is comprised of foil and medium-density fiberboard (MDF), providing affordable results across a wide range of applications. Laminate – Consisting of thin sheets that adhere over the top of your existing surface, laminate cabinet refacing delivers fast and effective updates. Wood Veneers – Real-wood materials are placed on the fronts of your cabinets, drawers, and doors to create a look of comprehensive quality. Your choice in material will result in very different results over the next few years. It pays to do your research and plan ahead when completing home renovation plans, so be sure you get it done right with our home remodeling pros! Laminate has come a long way, creating versatile design solutions that can be tailored to match nearly every style. However, beyond the realistic appearances printed on the front of these synthetic surfaces, you will likely not experience the comfy feel of an all-natural cabinet system. Nothing can quite compare to the beauty and warmth provided by natural wood in floors, and the same can be said for your cabinet’s surfaces. Our cabinet refacing features a complete facelift, providing an amazing appearance without the high price tag. One consideration when investing in home renovations is the longevity of your materials. Laminate cabinet refacing is cost-effective and simple in design, but the long-term beauty of this finish can begin to fade long before you’re happy with it doing so. Despite boasting minimal maintenance requirements, laminate will begin to show signs of wear and tear sooner. Our experienced contractors excel in Old World craftsmanship, and will be happy to discuss our viewpoints on cabinet refacing materials. Contact us today to learn more about our approach, and be sure to schedule your no-obligation home consultation! Many homeowners choose their cabinet finishes based on budget. After all, the amount of money you have allocated toward your project will determine whether or not you can afford all of the elements you want. Laminate and rigid thermofoils are more affordable than wood veneers initially, making old world craftsmanship and high-quality materials seem like luxuries. Detail Design & Remodeling is here to create the best solutions for all of our clients, and will work diligently to complete amazing results to match every budget. One key benefit of our cabinet refacing services is that they deliver long-term value, increasing the value of your kitchen. When it comes time to sell, the cost of our cabinet resurfacing services will be offset by the appeal and updated value of your home. Investing in kitchen renovations is a major undertaking, so be sure the cost and effort are worth it with long-lasting results from Detail Design & Remodeling. Our home remodeling company provides complete solutions to match our cabinet refacing services across Atlanta, Dunwoody, and beyond. Contact us today to learn more, and don’t forget to schedule our personalized home consultation!